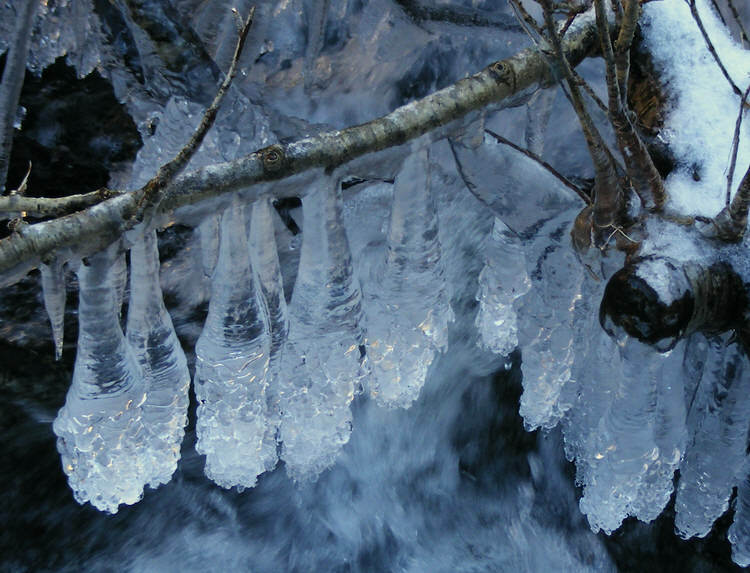 Elaborate icicles that have formed on a branch above Brimfull Beck, on the slopes of Wasdale Red Pike. These elaborate icicles have formed in the ravine formed by the stream, and spend most of the day in shadow, while the higher parts of the same tree are in full sunlight. Ice on the tree melts, the water runs down the branches, and then re-freezes on these icicles.